Nvidia (NASDAQ:NVDA), like the other big tech stocks, has had a lousy month. Nvidia has lost over 20% of its value since Oct. 7 and was trading early on Nov. 7 at about $214 per share. It is still not cheap. Its price-earnings multiple is still over 30, and its market cap is more than 13 times last year’s revenue. But it is cheaper than it was, and it remains poised in the technology industry’s sweet spot — artificial intelligence. Artificial intelligence is already being deployed in cloud data centers to solve complex problems with the brute force techniques of machine learning. It will next be deployed in the world of client devices connected to those data centers using 5G wireless technology. Now, in the pause between server and client, is the time to buy Nvidia stock at a discount. You won’t be making a fortune right away. Growth in data center sales is slowing. Bitcoin miners have walked away. That’s what speculators see anyway, which is why they walked away. One analyst even dropped his one-year price target to $225 per share, just $12 short of the Nov. 7 opening bid. This is not yet reflected in results. Analysts expect the company to earn $1.73 per share for the September quarter when that’s reported Nov. 15, on revenue of $3.24 billion. That’s year-over-year growth of 23%, at scale, and analysts are hoping for earnings of $1.80 per share. If those data center bears are right, Nvidia will miss the number. But there is no indication, yet, this is happening. Spending on public cloud rose 54% year-over-year in the second quarter. Private cloud, corporate data centers built on cloud technology, rose by 45%. There are machine learning applications in both these markets. Fast graphics processors, like those of Nvidia, represent a natural upgrade. Chip prices are falling but they’re supposed to. Prices on graphics cards with Nvidia chips are still falling, despite tariffs placed against China, where they’re manufactured. This will change over the next few months, as inventory runs down and the 25% tariff comes into force. The near-term outlook is, indeed cloudy. The longer-run outlook is much better. Even if U.S. demand declines due to tariffs, the Cloud Czars can still buy the chips cheap for their international data centers, where tariffs aren’t an issue. Chinese gamers and cloud companies are going to find some bargains. Nvidia faces a short-term pricing issue that is not going to cut production. In the longer run, over the next three to five years, JPMorgan Chase analysts are joining the crowd telling younger investors to buy the stock. Volatility, which only seems to exist when stock prices are falling, is an opportunity to get in. Self-driving cars are still coming. Tech companies like Nvidia even gain in global slowdowns, which force companies to replace people with computerized tools, and should drive demand for machine learning to replace machine operators. Oppenheimer’s price target on Nvidia stock is $310 per share, almost one-third higher than the Nov. 7 price. The October fall in Nvidia’s stock price means 21 of 35 analysts now rate Nvidia a buy, up from 19 a month ago. Their average price target is $289, also a huge gain from the present price. Nvidia faces short-term problems, but over the longer run, the wind continues to be at its back. That makes pullbacks like the current one an opportunity for investors looking for capital gains. Dana Blankenhorn is a financial and technology journalist. He is the author of a new mystery thriller, The Reluctant Detective Finds Her Family, available now at the Amazon Kindle store. Write him at [email protected] or follow him on Twitter at @danablankenhorn. As of this writing, he owned no shares in companies mentioned in this story. 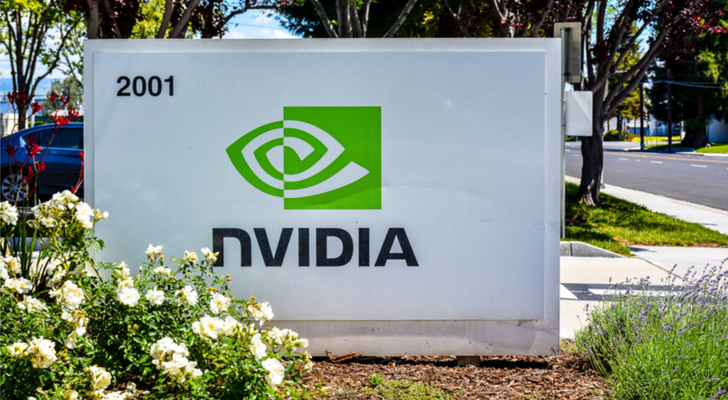 Article printed from InvestorPlace Media, https://investorplace.com/2018/11/dont-miss-this-opportunity-in-nvidia-stock/.